Alma’s dark and lascivious story may not be for everyone — and folks, it will turn some hairs white and make some skin crawl, and probably offend the gentler souls among us. But the writing will transport you. It will make you look over your shoulder. 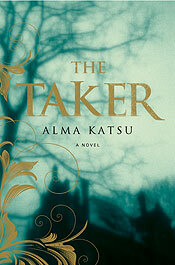 And like all genius storytellers, Alma’s gift to the reader is a story that seeps into the bone and becomes your own. Like it or not. I’m honored to have you here today, Alma. Welcome! What is your favorite quality in a person? I don’t think I have a favorite quality. I don’t mean for this to sound flip, but I try now to appreciate people for who they are. I’ve had to work at this. For many years, I was shaped by my career, where I had to manage teams working under very high pressure, and tended to view the people in terms of what I needed from them (which was the ability to work under high pressure!) Now I realize that just about everyone has something interesting and unique to share with the world if we slow down & pay attention. I don’t mean to sounds Pollyannish. I realize there are some people who don’t deserve your attention, but you have to at least give them a chance. I also try to learn something from everyone I meet. Close-mindedness. The world is a big place, full of things you haven’t even begun to imagine. I don’t understand people who think they have the answer to everything. As a child, did you dream of becoming a writer? Oh yes, from elementary school. I had no idea how to do this, though, no role model. The only job I saw (at the time) that paid you to write was as a newspaper reporter, so that was how I started. It was helpful in that I got to be around writers. But making the jump to fiction seemed like an impossibility. Who/what influenced you to pursue your dreams? I grew up in a very practical family, so I wasn’t encouraged to be a writer. I’m from the generation that was told not to take risks and to get a safe job. I’m not saying I got me bad advice: my father lived through the Depression, my mother was a child in Japan during WWII. They knew firsthand that life could be tough and uncertain. I ended up following their advice and as a result, had a long government career. Luckily, it turned out well. But at a certain point in my life, I wanted to try again to write fiction. I didn’t think I’d get published; I just wanted to see if I could master a craft that was so complex and unquantifiable. What is your greatest love? Wow, that’s a tough one. I’d have to say my husband. We’ve been together over twenty years and I’ve learned a lot about life from this relationship. But if you asked what my purest love was, I’d say my dogs. Especially the one I raised from a pup. That’s probably the closest thing I’ve felt to unconditional love, because it’s impossible for them to hurt me. I try really hard not to be afraid of things. What’s the worst that could happen? You experience pain, maybe you die. You’re going to die anyway. I’ve had to face some terrible fears in my life and luckily, I was young & strong enough to deal with them. I know I probably won’t be so lucky when I’m older. What is your favorite place? Lying on the couch in my office where I write, preferably with my dogs. It’s so comfortable. If you could give a bit of sage advice to novice writers, what would it be? It’s about the journey, not the destination. Trite but true. You’ll have the most fun figuring out how to write your story, so try to concentrate on that and not let yourself get anxious over finding an agent and selling your book. There’s a song in my head since I woke up this morning. I haven’t heard it since I was a little girl, a long while now, but it’s still there. Just as clear as a bell. I know every lyric and I am taken back to a time when I twirled in sock feet across the slick top of my grandmother’s living room coffee table. She had an old record, so thick and stiff it was like glass. I loved the sound of it, the hissing and scratching when she’d put it on the enormous record player, the needle touching down with a little gasp before the music would start. And then, I’d watch my grandmother’s face. One breath, two. No matter how many times I made her play that song, or how she protested and begged me to settle for a different tune, no dice. Because none of her other records did what this one could do. With the first strains of that melody, the corner of her mouth would lift. 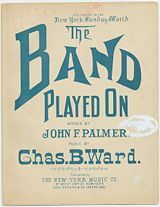 There was a story in the song. It was simple: a boy and a girl, dancing, thrilling to one another. That was enough to make me love it. And trust me, I didn’t need an excuse to get up on that table and perform waltz after waltz, all dolled up in my grandmother’s square-dancing slip, delighted with the way those skirts billowed out around my little legs. I knew my grandmother was smiling at me. I was a little queen, then. But she had another smile, a secret smile, one I’d never seen before. It puzzled me and bothered me and made me dance harder and wilder, trying to pull her attention back to the wonder of me. For the first time, I must have realized the woman in the little farmhouse – the person I thought I knew everything about, whom I believed had set her days to revolve solely around our family – had lived a life before us. Each time she played the waltz, I caught a glimpse of that girl. A stranger. A mystery. A pure wonder. She taught me to make biscuits. She taught me the Lord’s Prayer. She taught me other things, too, like how to manipulate or regret decisions. She was quick to laugh, quick to judge, full of such pride in her family and weighed down with sorrows for brothers she couldn’t redeem. She loved her work, but never felt she was a smart woman. She loved her husband, and they were a gruff pair. She could work like a man in the summer garden, always lamented that she couldn’t grow a rose, and she never missed an epidsode of ‘Dallas,’ come Friday night. I knew all of this and I remember her that way to my children. But today, I’ll put on a waltz. Because I know the corner of my mouth will lift, so like hers. And my daughter will wonder. She’ll watch me and weigh all the things she understands about my life against all the things she fears and hopes for her own, and she will tuck away the seed of what my grandmother’s waltz taught me. 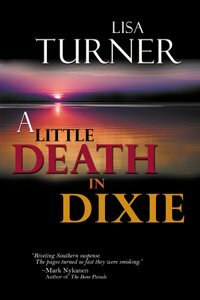 My guest interview today is with another woman who inspires me: author Lisa Turner, an indomitable personality and new talent whose soulful mystery, A LITTLE DEATH IN DIXIE, released June of 2010 by Bell Bridge Books, impressed me as powerfully as the author herself. 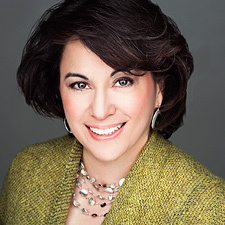 From the experience of managing her family’s interior design firm, she earned a PhD in the peculiarities of human nature . . . talk about Southern Gothic! More recently, she and her husband bought a home in Nova Scotia, where the landscape changed from cotton fields to lobster boats. She currently shuttles between the Deep South of her childhood and the wildly beautiful coast of Nova Scotia. I know you’ll enjoy getting to know her through these thoughtful and provocative responses and I’m so thankful she took the time to share today. Q. What are your favorite characteristics in a person? A. Dependability, humility, and a touch of fire. Melded, those qualities produce a person of honor without arrogance, and yet with a spark that drives them to accomplish great things. Q. What are your least favorite characteristics? A. That would be “envy,” defined as the unhappy feeling of wanting someone else’s success or possessions for oneself. What motivates envy? What does one person’s achievement have to do with another person’s success or lack of it? Of course, I’m not referring to a hungry person watching someone else eat a quarter-pound cheeseburger. That kind of imbalance and lack of opportunity starts wars. Pursue your passion to the best of your ability and pay no attention to what someone else has on their plate. Q. As a child, did you dream of becoming a writer? However, I was always fascinated by words. Even as a child, combinations of words were like music for me. I still overwrite sentences because I’m hunting for the music. The next day I’ll have to rewrite the whole thing, because I’ve missed the point. A scene has to be more about the story and the character’s voice and emotion than the lyricism of the words. Q. Who/what influenced your dreams? A. I love, love, love old movies. They’ve influenced every area of my life. The best of them provide great storytelling, dialogue, wonderful sets, and costume design. When I write a scene, I like to use strong visual details along with a lot of texture. If I can infuse a bit of Southern culture into the mix, I’m happy. I’m also influenced by writers who open with killer first paragraphs. After a couple of pages, you can tell if they have the talent and the authority to build on their beginning. Any writer who starts strong and is able to carry that momentum through to the end is impressive. No one knows what an accomplishment that is until they try it. Q. What is your greatest fear about writing? A. That’s easy. I’m afraid I’ll write something trite or obvious without realizing it. It helps to have astute critics and great editors looking over your shoulder. But it’s important to choose those readers carefully. Be sure they don’t have a hidden emotional agenda, like envy, that would lead to distorted advice. Fortunately, I’ve had supportive people helping me all the way. Q. If you could give a bit of sage advice to novice writers, what would it be? A. Read everything. Stay current with your genre. Talk to other writers. Study the craft by reading books about writing and attend professional conferences. Mastering the basic tenets of storytelling will save you the misery of wondering why your beloved manuscript, after hundreds of hours of hard work, just doesn’t cut it. Pay attention to the details of life and make notes. Be aware of the subtext that goes on in everyday conversation. Hunt for fresh story ideas until one grabs your imagination and you can’t stop thinking about its possibilities. I have a note card in the bookcase to the left of my desk. It says: “Never, never, never give up.” Do that, do the work and you’ll have a manuscript that will make you proud.